This final chapter summarises the book’s key conclusions. The first key message is that the frequency with which national referendums are held in EU countries, and the role that ‘the people’ play in these referendums, are both strongly overestimated in the academic and public debate. 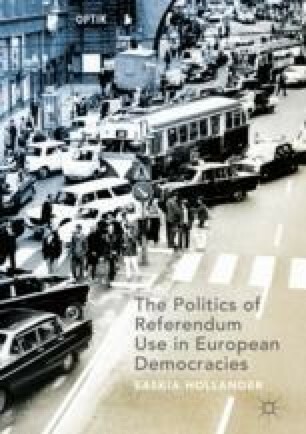 In most countries, referendums are held only occasionally, and especially in the ‘old’ EU members, referendums are merely instruments in the hands of political decision-makers, serving their interests rather than those of ‘the people’. The second message is that simply attributing referendums to actors’ ambitions to strengthen democracy provides no complete understanding of the strategic functions that they have in the game of political competition. Since such functions are closely embedded in the nature of the polity, referendums often do not challenge the status-quo of representative decision-making.